With so many 15.6-inch laptops on the market it can be difficult to stand out from the crowd, but Acer has a cunning trick up its sleeve with the Aspire 5745PG. It's one of the few models around to use a touchscreen display. 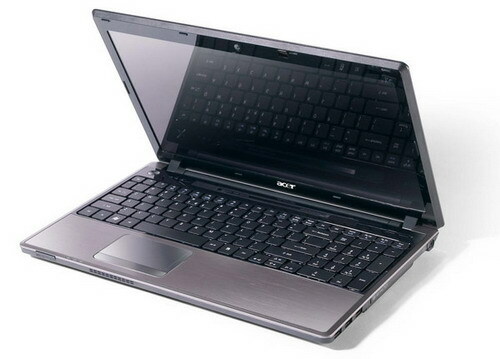 The Acer Aspire 5745PG impresses with its slick design, useful touchscreen and good all-round performance. It's one of the better 15.6-inch laptops you can buy right now. In all we were surprised by how useful the touchscreen was in this package and while there is no intelligent switching for graphics we still remain impressed with the overall package. Given the overall build quality and decent keyboard it is worth checking out for users who want a touch screen on their notebook, so long as you don't mind connecting to external speakers. The most accurate way to classify the 5745PG-3882 is as a mainstream multimedia notebook. As long as serious gaming isn't on your do-list, the 5745PG-3882 will serve you well with media and nearly any application. This alone presents a great value at less than $900; factor in the multitouch screen and the 5745PG-3882 becomes a compelling option for non-gamers.